Manus - 3D Hand pose tool for artist. For Android and iPhone / iPad. Need a hand (pun intended) on drawing human hand? This nifty little app is friend of anyone who struggles with drawing hands. 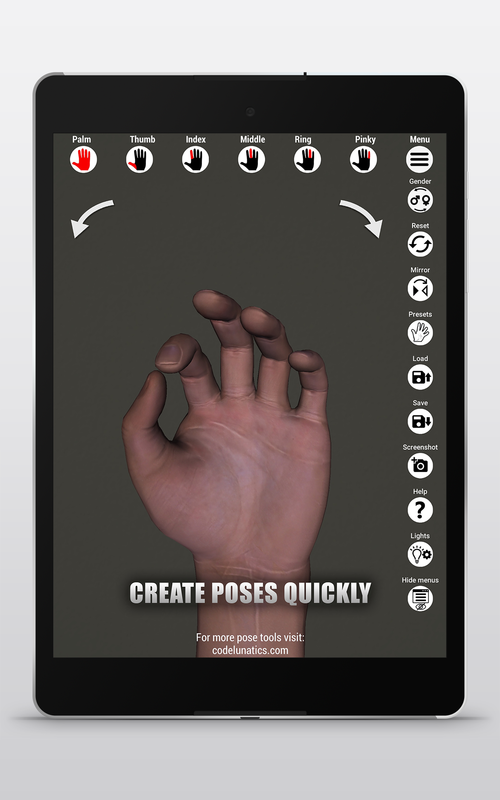 With this handy tool you can make unlimited number of hand poses in just seconds. It is a must have hand reference tool for any artist’s. 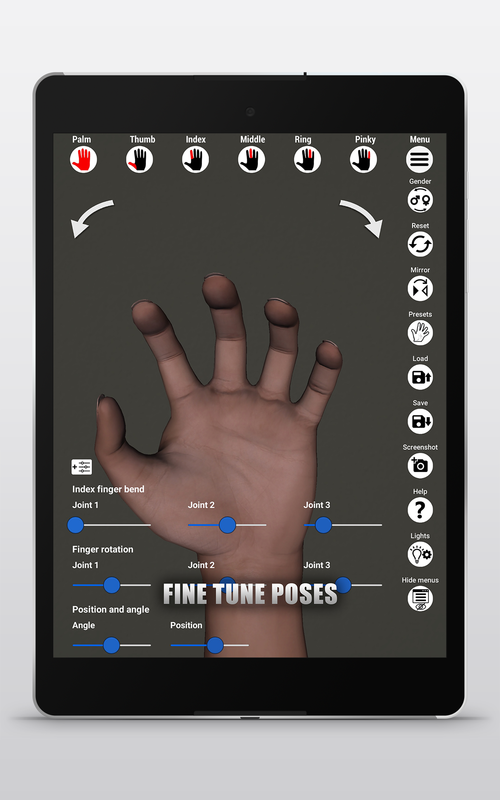 With Manus app you can rotate, bend and set distance of every finger to get that pose you are looking for. 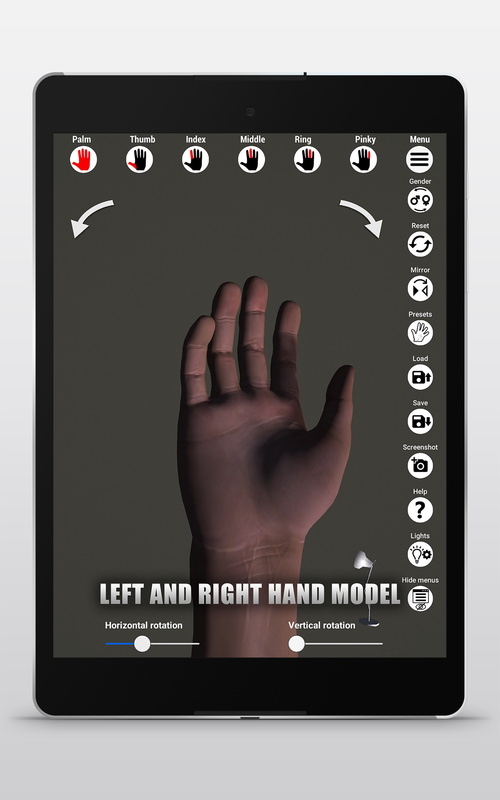 With flexible camera controls you can pan and rotate hand model freely to examine pose from any angle. 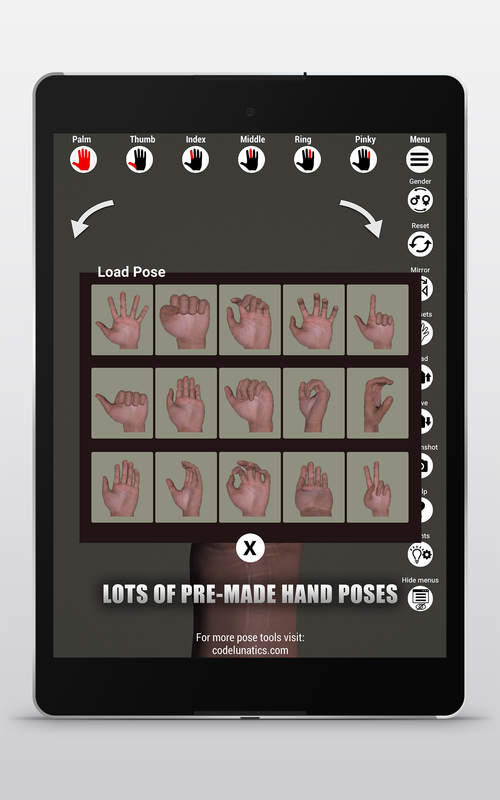 App has male and female hand models and variety of pre-made hand poses to get started with. Enjoy and become master of drawing human hands. Supported screen size: 4.7" and larger. Tablet preferred.